Whilst some babies are born with one or two milk teeth, most have to wait for their teeth to grow up through the gums. This usually starts at around five months, when the bottom front teeth (incisors) first appear. Most babies have all their milk teeth by the time they are two and a half. Some babies go through teething without any problems - others find it painful and upsetting. Teething is an entirely natural process. Milk teeth tend to appear in stages, starting with the bottom front incisors and ending with the 'second molars' - the final back teeth which usually come through between 20 and 30 months. 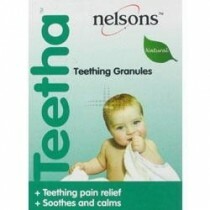 Teething isn't always painful - some babies will not experience any pain or discomfort. For others, though, it can be excruciating. Most babies become more irritable during teething. This can be combined with other symptoms, such as a raised temperature, red face, dribbling, over-chewing, restlessness, disturbed sleeping patterns and red, sore-looking gums. Pain and discomfort from teething usually disappear once the teeth have come through. Babies teeth differently, so you may have to experiment to find a treatment that works. Fortunately, there's a good choice of over-the-counter treatments available for teething, so you should be able to find something that is effective without too much trouble. 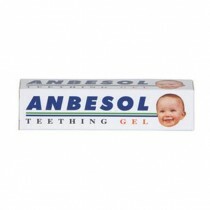 Teething gels are a popular option - similar to pain relief gels for adults, these contain a mild local anaesthetic. By applying directly to the gum, the local anaesthetic helps to numb pain. A lot of teething gels also contain antiseptic, which helps kill germs and bacteria in the mouth, so the gums won't become infected. Teething rings give baby something to do with their mouth - and allow them to test out their new teeth. Many babies will happily chew on anything to hand, including their own hands - so giving them a teething ring gives them a distraction, and something specific to bite into that won't cause any further pain. Cool water can also help soothe irritated gums - try to give baby sugar-free drinks, as the new teeth may be particularly susceptible to decay. Painkillers may be an option in small doses - but remember that you shouldn't give aspirin to a child under 16.